Exemptions in California can be very confusing. 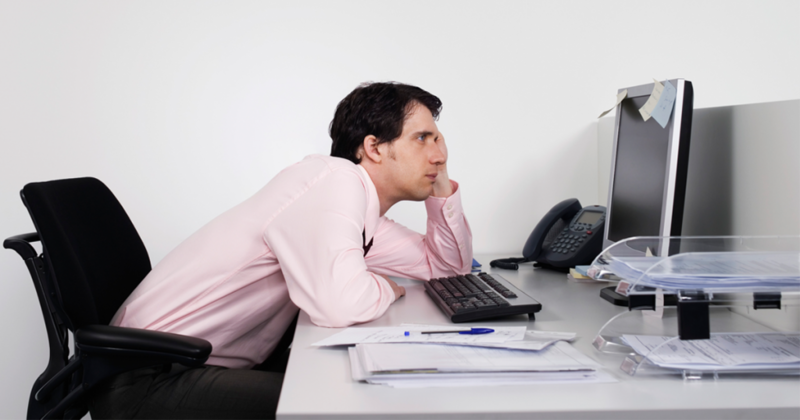 Trying to determine whether an employee is exempt from overtime or non-exempt and entitled to overtime is difficult, and this is especially true with IT professionals. While IT professionals are usually salaried employees, salary alone does not mean they are not entitled to overtime. So what are IT professionals? IT professionals (i.e. Information technology professionals) can hold a variety of job titles – a few examples include: IT specialists, systems administrators, systems engineers, IT technicians, database administrators, desk and IT support, and network operations engineers or specialists. However, whether an IT professional is exempt or non-exempt does not depend on the title, but comes down to the duties. Because most IT professionals work long hours, it is especially important to determine whether as an IT professional, you are entitled to overtime pay. Most IT professionals, if truly exempt, will generally fall under one of two exemptions: (1) the computer professional exemption; and (2) the administrative exemption (although other exemptions may sometimes apply). The application of systems analysis techniques and procedures, including consulting with users, to determine hardware, software, or system functional specifications. The design, development, documentation, analysis, creation, testing, or modification of computer systems or programs, including prototypes, based on and related to user or system design specifications. The documentation, testing, creation, or modification of computer programs related to the design of software or hardware for computer operating systems. (4) The employee’s hourly rate of pay is not less than thirty-six dollars ($36.00) or, if the employee is paid on a salaried basis, the employee earns an annual salary of not less than seventy-five thousand dollars ($75,000) for full-time employment, which is paid at least once a month and in a monthly amount of not less than six thousand two hundred fifty dollars ($6,250). The Division of Labor Statistics and Research shall adjust both the hourly pay rate and the salary level described in this paragraph on October 1 of each year to be effective on January 1 of the following year by an amount equal to the percentage increase in the California Consumer Price Index for Urban Wage Earners and Clerical Workers. Effective January 1, 2016 the minimum hourly rate is $41.85 and the minimum annual salary is $87,185.14 for full-time employment, and paid not less than $7,265.43 per month. So in short, what does this all mean? Primarily engaged in intellectual or creative work and one or more of the duties listed above – generally, “primarily engaged” means more than one-half of the employee’s work time. Earning no less than $41.85 per hour or $87,185.14 per year/$7,265.43 per month (as of January 1, 2016). you must also earn a monthly salary equivalent to no less than two times the state minimum wage for full-time employment ($41,600 per year or $3,466.67 a month). With the Administrative Exemptions and IT professionals, many times the question of exemption really comes down to whether the IT professional is performing tasks and functions that involve matters of substantial importance to running the business OR is simply engaged in the core day-to-day business. If you are an IT professional and want to know whether you are properly classified, please consult with one of our attorneys. breastfeeding moms. Under the California Labor Code, employers are required to provide reasonable break time for expressing breast milk. Section 1030. Every employer, including the state and any political subdivision, shall provide a reasonable amount of break time to accommodate an employee desiring to express breast milk for the employee’s infant child. The break time shall, if possible, run concurrently with any break time already provided to the employee. Break time for an employee that does not run concurrently with the rest time authorized for the employee by the applicable wage order of the Industrial Welfare Commission shall be unpaid. Section 1031.The employer shall make reasonable efforts to provide the employee with the use of a room or other location, other than a toilet stall, in close proximity to the employee’s work area, for the employee to express milk in private. The room or location may include the place where the employee normally works if it otherwise meets the requirements of this section. Section 1032. An employer is not required to provide break time under this chapter if to do so would seriously disrupt the operations of the employer. Section 1033. (a) An employer who violates any provision of this chapter shall be subject to a civil penalty in the amount of one hundred dollars ($100) for each violation. (b) If, upon inspection or investigation, the Labor Commissioner determines that a violation of this chapter has occurred, the Labor Commissioner may issue a citation. The procedures for issuing, contesting, and enforcing judgments for citations or civil penalties issued by the Labor Commissioner for violations of this chapter shall be the same as those set forth in Section 1197.1. (c) Notwithstanding any other provision of this code, violations of this chapter shall not be misdemeanors under this code. In short, this means: (1) the break time runs concurrently with breaks required for all employees (i.e. meal and rest breaks) – in other words, if you can express milk during your lunch or rest break, then this fulfills the Labor Code requirement; (2) any additional break time can be unpaid; and (3) the employer must make reasonable efforts to provide a private place near your work area for you to express milk – I.e. No more having to pump in the public restroom. The only exception to these laws is if providing breastfeeding breaks would seriously disrupt the operations of an employer. Finally, taking aside these breastfeeding accommodations, pregnant women and women return to work after pregnancy are entitled to California’s protections against discrimination and harassment based on their pregnancy (including need to breastfeed). Thus, if you are experiencing any offensive or unfair conduct, or believe you are being penalized because of your pregnancy (or breastfeeding), call one of our attorneys. 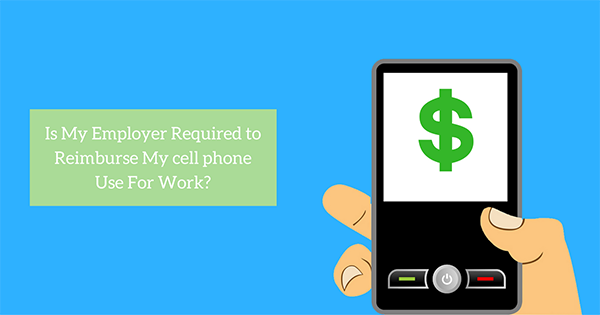 Is My Employer Required to Reimburse My Cell phone Use For Work? The general answer is yes – and this is true even if your plan is unlimited, so long as it is necessary in performing your duties. In Cochran v. Schwan’s Home Service, Inc., 228 Cal.App.4th 1137 (2014) (“Cochran”), the California Court of Appeal held that employers must reimburse employees for required work-related use of personal cell phones—regardless of whether they incur any additional out-of-pocket expense from that work-related use. The Court held that even where the plan is unlimited and the employee did not incur any additional cost, reimbursement was required under Labor Code Section 2802 because the employer would otherwise receive a windfall as it would be passing its operation expense onto the employee. The Cochran case of course raises a number of interesting issues with respect to other business expenses incurred. For example, expenses incurred when working remotely, such as electricity, internet, and use of personal devices. Arguably, such expenses are also reimbursable under Section 2802. 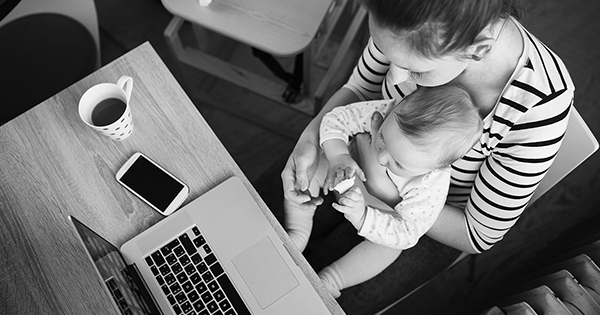 While courts have not ruled on these specific issues, we will likely see these issues arise especially given the ease and ability of employees to work remotely. If you believe you have incurred any business expenses that have not been reimbursed, contact one of our attorneys to discuss your situation.